The horse racing industry is facing a challenge as the sports lover demographic is showing older and older. What the sports need is to increase the fan attendance to increase the wagering. Attracting a larger fan base is the only way for the horse racing industry to grow and prosper. In order to ensure a prosperous future for the sport, the industry must capture the racing experience and pass them to the next generation of race-goers who must be educated to enjoy the racing experience in a way that’s easy and fun. Horse racing betting promotion should express the passion for every aspect of the horse racing experience. Horse racing betting can use either digital or traditional promotional strategies or the combination of both to promote the sports. Traditional promotions include billboards, brochures, flyers, advertising either print or broadcast media or anything except digital means. While digital promotion uses digital media such as social media, SEO, video and web ads to promote betting on horse racing. Bookmakers can choose between the two strategies or combine them. Regardless of their choice a strong set of promotional strategies can help position them to current punters and new ones. The new generation of horse racing fans the industry need to target are the young, tech savvy who are exposed to the digital media. Since they have a limited experience at the racetrack and basic understanding of handicapping, the promotion should be to spread passion and participation in the game effectively. The digital promotional strategies should encourage the new generation of fans to learn, experience and share the joy of horse racing and wagering. Promotion should be one part of the overall online marketing strategy with the aim of converting visitors to punters. 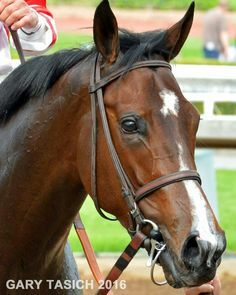 To promote horse racing betting you need a website to cultivate your brand and promote all of its offering. Horse racing betting sites is an ideal platform to inform punters about what’s going on. Your website will be just like a physical on-track bookmakers offering fixed-odds betting, only wagering will be done online and free bets can be offered. Engage and update punters about your sales promotions on social media. Determine what social networking sites are frequented by your target audience and create your own social media fan pages. Facebook, Twitter, YouTube and Instagram are the social platforms typically used by horse racing betting sites for publicity and promotion. Twitter and Facebook can be used to provide immediate access to photos and videos of the races – betting, fashion, celebrities and party scenes. Creating landing pages on your website with call to action is a good lead generation strategy to encourage punters to sign-up and provide their personal information to receive free tips and updates. Lead generation can also be done through your social media fan pages. Build your e-mail list. Direct marketing via e-mail is a good way of informing punters of your sales promotion. You can also engage in web advertising in different formats banner ad (horizontal) skyscraper ad (vertical) or pop-up ads that appear in the middle of the screen. There is also the option of using social media platforms. Facebook targeted ads or Twitter ads will help you promote by finding the right customers across different devices and deliver relevant messages. Horse racing has been around for ages and people are accustomed to traditional promotional strategies. 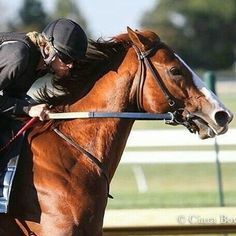 Finding horse racing ads in the newspapers, magazine and billboards are still familiar promo strategies and people still do them all the time. Traditional promo strategies are still important to get your brand in front of the public and attract the new breed of race goers. Giving away functional branded items like promotional drink bottles, promotional keyrings and promotional fan during races is an effective promotional tactic. These branded giveaways you can give to race-goers that they may use during the races will remind them of your brand. Print and broadcast media advertising are traditional promotional strategies that never go out of style. Advertising is the most used traditional promotional strategy that is still effective in informing a large number of people about the sport. A free pullout advertising in the centre of local newspaper with racing form and easy to understand information is typically done to promote horse racing betting. 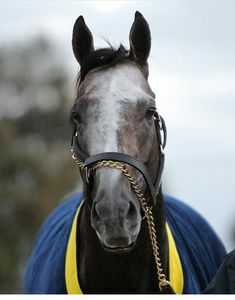 Appointing racing representatives or ambassadors to increase the popularity of horse racing can be used to promote racing nationwide. Ambassadors are placed across the country for maximum national exposure for racing. 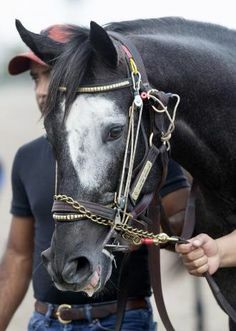 Ambassadors engage in peer-to-peer marketing and invite digital media influences to the racetracks so they will experience the joy of horse racing with other legions of followers. Equestrian events like horse riding experience and carriage rides at the racecourses can be done to promote understanding of horses on young people. Giving horse riding instruction to youth sports clubs and other groups for children of all ages who love riding horses expand the fan base of horse riding population. 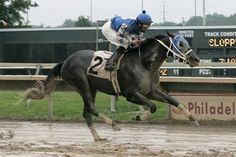 Horse racing betting promotion is necessary to educate the public and create awareness about the joy of horse racing. There are numerous ways to promote the sports. Traditional promotional strategies and digital promotional strategies may be used depending on the marketing purpose. The two methods can be integrated to promote horse racing betting and attract new punters to the sport.